To keep your lawn growing healthy all year long, it's important to invest in some extra maintenance. Ouraeration services allow your lawn to receive the nutrients and water absorption it needs to maintain a lush and green appearance. We perforate the soil of your lawn with small holes to allow the nutrients, water, and outside air to penetrate its roots. 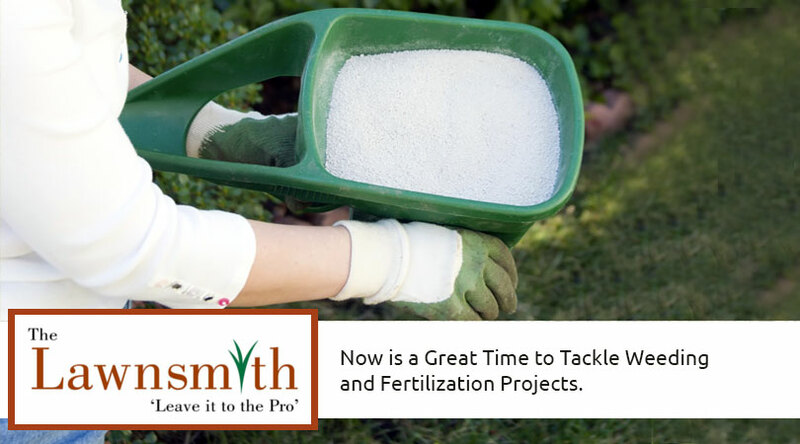 This process helps the roots grow deeper and produces a vigorous lawn. Another reason for aeration is to break up the soil compaction and accumulated debris that may be preventing the roots of your grass from growing upward. This may include heavy lawn thatch or organic debris buried beneath the surface of your lawn. Removing these items allows your lawn to breathe better, absorb more water and nutrients, and take in more oxygen. Heavy foot traffic: If people walk through your yard frequently or it's the neighborhood spot for children to play, the heavy usage could damage your lawn. Your pets spend time outdoors: Families with pets, especially dogs who eliminate outside, should seriously consider lawn aeration. Urine and feces damage the top layer of grass, the layers underneath it, and the roots. A dog that runs around a lot on the lawn can also cause soil compaction. 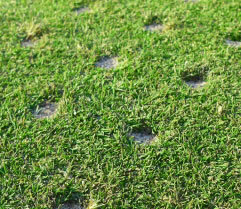 An overly dry lawn: If your grass often feels dry or spongy, it could indicate a problem with thatch build-up. You can find out for sure by removing approximately four inches of grass with a shovel. A healthy lawn will have mostly soil and very little thatch. Your lawn is a good candidate for aeration if the thatch is more than half an inch thick. Your lawn was originally established with sod and soil layering still remains. The layering prevents water in the soil from fully draining, causing poor development of roots and problems with compaction. Temperatures are getting cooler by the time late August or early September rolls around, but there is still plenty of time before the first frost. Your lawn needs this time to recover from the aeration process and fill in any areas that remain open after we remove the soil plugs. Please contact us if you have more questions about aeration or want to schedule an appointment.